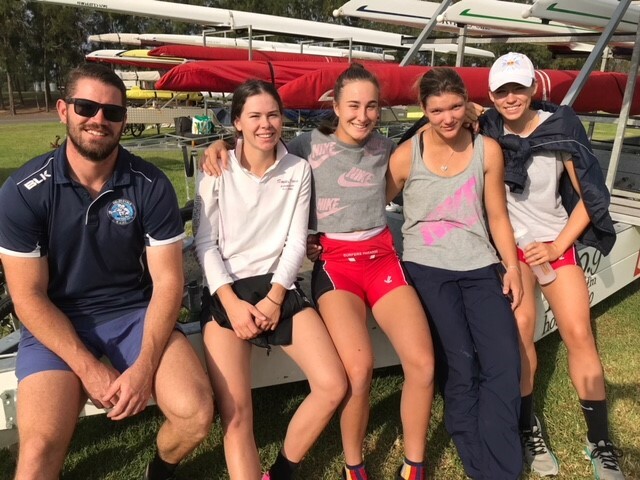 While the Gold Coast was celebrating our incredible home-grown talent during the 2018 Commonwealth Games, our St Hilda’s sports stars (including students past and present) celebrated some impressive sporting achievements of their own in Rowing, Synchronised Swimming, Equestrian, Swimming and Surf Lifesaving. We are so proud of the inspirational efforts from all girls, especially knowing the hard work, dedication and tenacity required to compete at such an elite level. Congratulations girls. 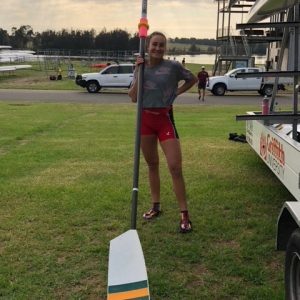 Congratulations to Jess Scott and Leukie Smith (both 2017 Graduates) who have been selected to represent Australia as part of the Junior Women’s Coxless Four at the World Junior Rowing Championships in Prague in August. 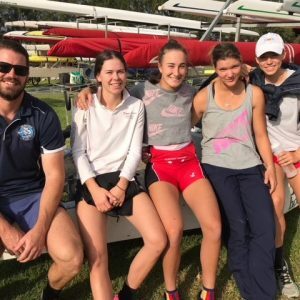 Jess and Leukie will take part in a Training Camp in Sydney in June and will then move to the AIS European Facilities in Italy to continue training in mid-July. The crew will be coached by St Hilda’s School Rowing coach, Sean Carolan. 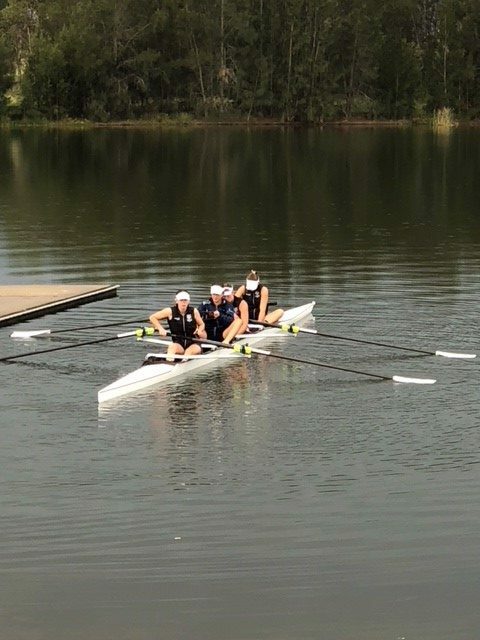 Additionally, at the recent Sydney International Rowing Regatta, Jess and Leukie took home three Gold medals – one in the Under 19 Women’s Coxless Pair, one in the Under 19 Women’s Coxless Four and one in the Under 19 Women’s Coxed Eight. 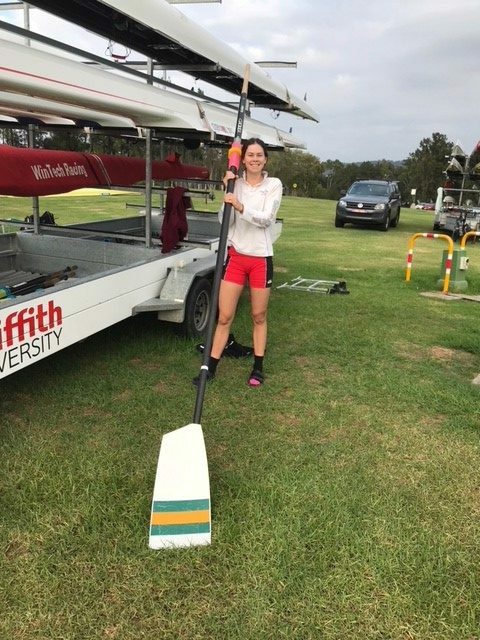 Congratulations to Alexandra (Ally) Finlay (2017 Graduate) who was selected as a member of the Australian U21 Rowing Team which will compete in a Trans-Tasman event against New Zealand. 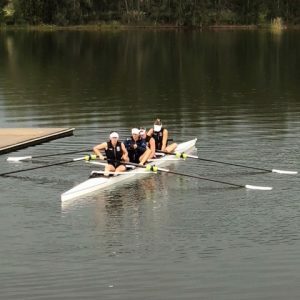 Ally will compete in the U21 Women’s Coxless Pair. 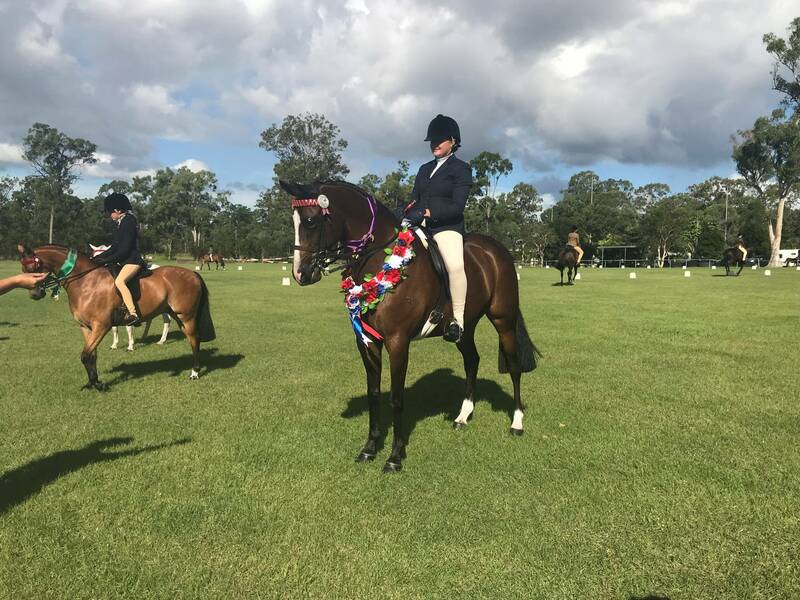 Congratulations to Year 8 student Paige Sinnamon who represented St Hilda’s School on Sunday 22nd April at the Equestrian Australia Anzac Show. 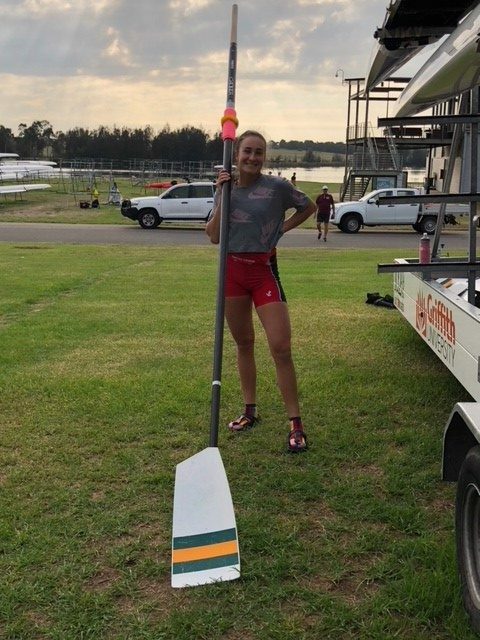 Paige won all of her Inter-School events, securing her place representing St Hilda’s School later in the year at State Titles. Paige also secured the opportunity to represent QLD at Southern Stars next year. Congratulations to Kiera Gazzard who put in a stellar effort to come away with five Gold and one Silver medal at the recent Australian National Synchronised Swimming Championships held in Brisbane. Kiera won Gold in the Free Solo, Technical Solo, Free Duet, Technical Duet and Team Combo events and won Silver in the Junior Technical Team event. Kiera will compete at the Japan Open in April, the US Open in June and the Junior World Championships in Budapest in July. We wish the girls luck for the remainder of the meet! 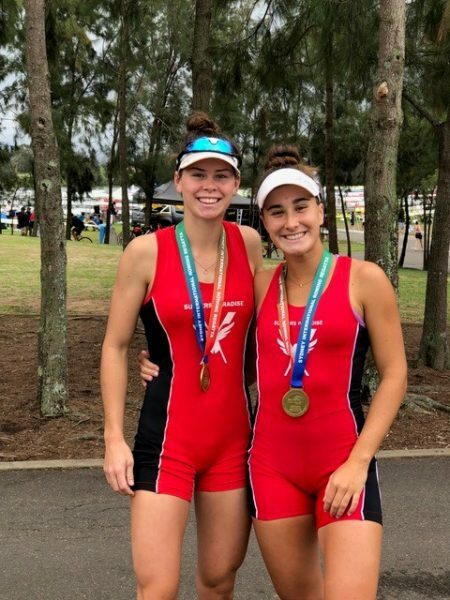 Congratulations to current Year 10 students Momo Ito and Brianna Free and 2016 Graduate Laura Taylor who competed in the Australian Surf Lifesaving Championships at Scarborough Beach in Western Australia last week. All girls raced incredibly well and did their respective clubs proud. Momo finished 12th out of 240 people in her swim and placed 4th in the South Coast branch. 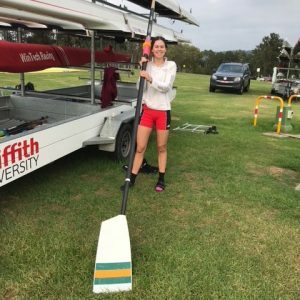 Following her Silver Medal performance in the Women’s 200m Butterfly at the Commonwealth Games, Laura flew across the Country to compete and was instrumental in her club, Northcliffe, winning double Gold in the Open and Under 19 surf teams finals.